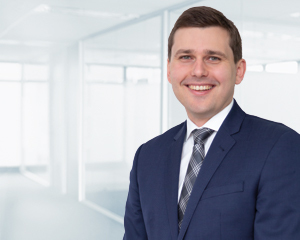 Based in Brisbane, Justin provides high quality investment advice across the spectrum of risk profiles, ensuring his clients are well informed and comfortable about their investments. “Before I provide advice to a client, I find out about them, their background, their attitude to investing where they want to be in the future", Justin says. “I’m a representative of the Investment Committee, so depending on the client’s risk profile and goals, I’ll recommend a diversified portfolio the Committee believes is suitable for a client in their situation. Before joining Dixon Advisory, Justin worked for several years as a derivatives analyst with BlackRock investment bank, Edinburgh. He also worked as a financial analyst for J.P. Morgan in Sydney and Edinburgh.